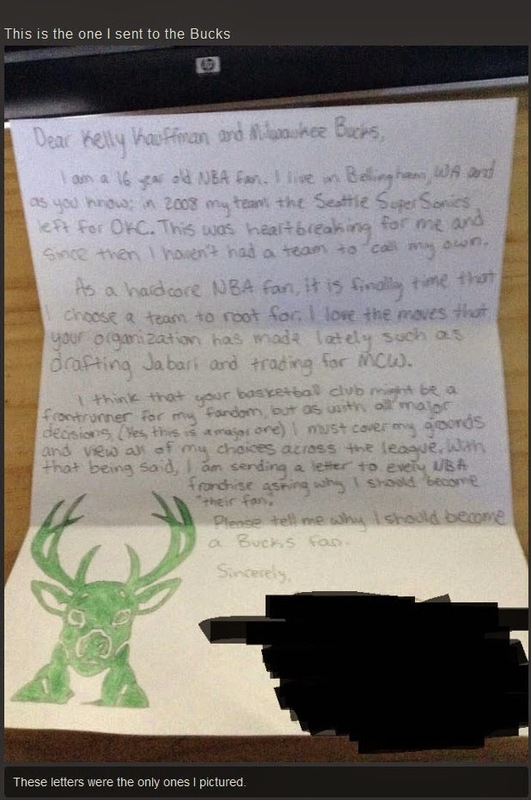 Connor is a young basketball fan from Washington state and he's trying to choose a favorite NBA team. 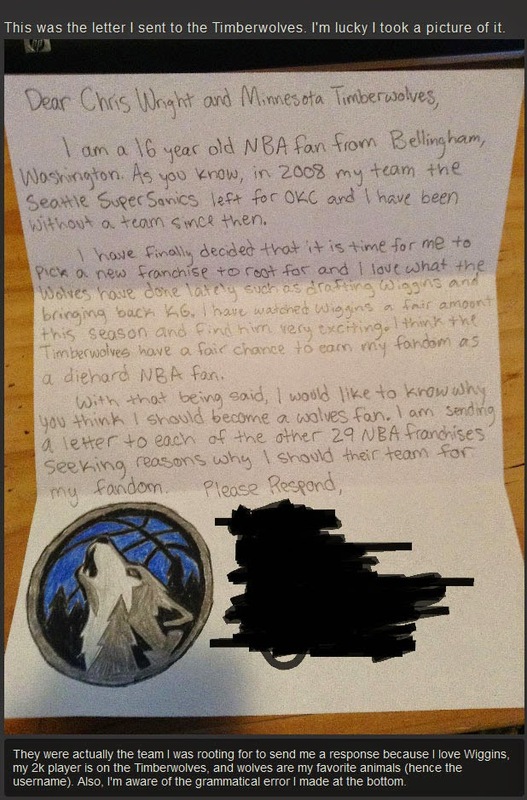 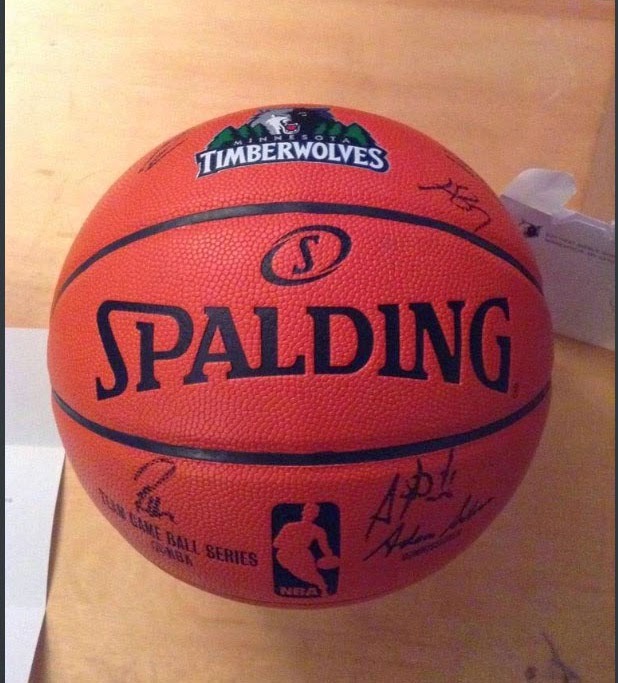 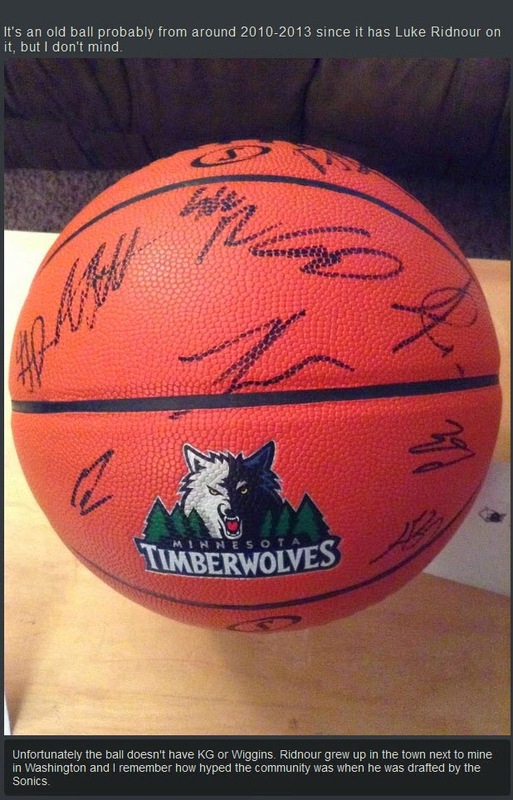 He wrote a letter to every NBA franchise asking them why he should become a fan and the only one that wrote back was the Minnesota Timberwolves. 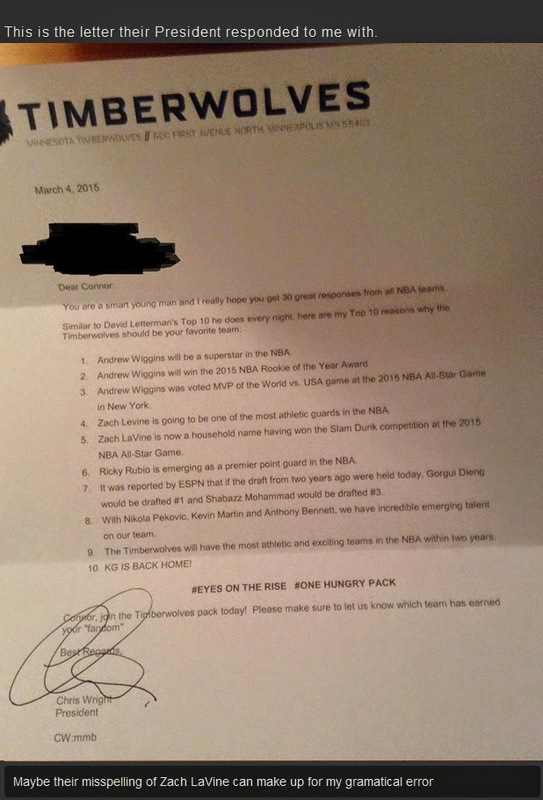 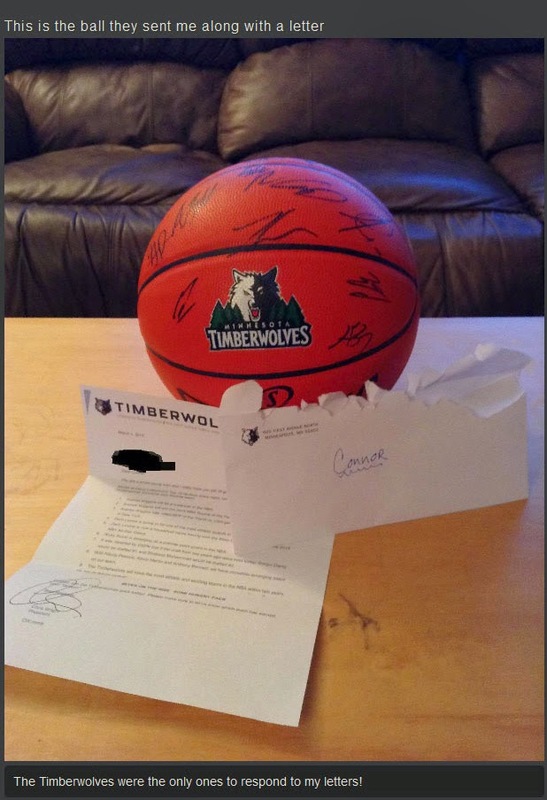 Timberwolves President Chris Wright actually took the time to respond to Connor. 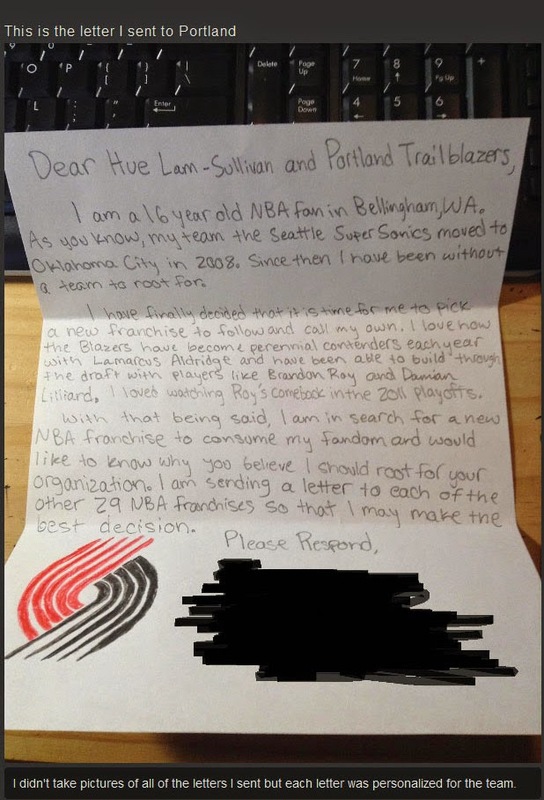 Hopefully it pays off.